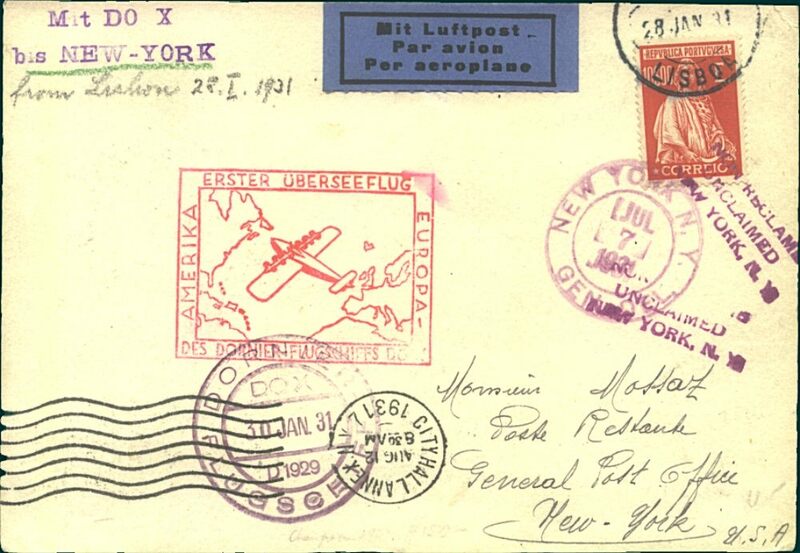 Portuguese mail dispatched from Lisbon, cover franked 10E Portuguese stamp only with Lisbon canc of Jan 28, addressed to New York, 7/7 arrival cds on front, via Rio bs 22/6, red rectangular German cachet, violet circular 30 Jan on board 'Flugschieff' ds, and violet two line 'Mit DO-X/bis New York' hs on front, black diamond Syndicado Condor cachet verso. Haberer 1990 #DO5a, 1000dm. 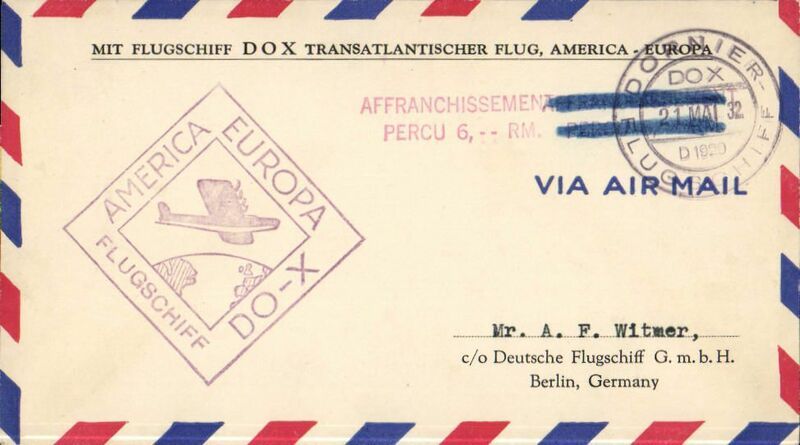 DO-X New York to Berlin, bs 27/5, On Board cancellation, souvenir airmail cover, postmarked 21 Mai 32 with red "Affranchissement Percu 6RM", official violet diamond 'America Europa Flugschiff DO-X cancel.